the Asian based magazine Asian Geographic is one of my favorite magazine. they just celebrated ten years featuring Asia's best stories on culture, travel, and photography. they featured the Philippines several times. this year, they featured the natural gems of Palawan, the pearls. for this contest, i'm listing down ten of the Asian countries that I wanted to visit. 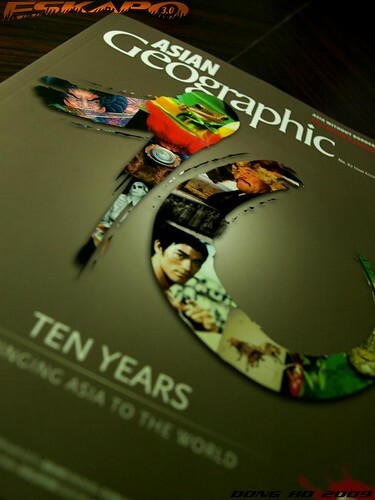 just guess my top three in this list and you'll win the 10th anniversary issue of Asian Geographic magazine. easy, right? here are the ten countries in Asia that i wanted to visit: Thailand, China, Laos, Maldives, India, Turkey, Nepal, Japan, Mongolia and Russia. again just list down my top three. if more than one gets it right, i'll just raffle the names and pick one. contest runs from Nov 16 12:01am until Nov 17 11:59pm. Thailand, Nepal and India... uber hula lang naman hehehe.. may tumama ba? vist ako sa thailand after 2 mpnths. maldives, laos at india.sure na! dong, let's go tho india next year, mura lang daw dun accdg to my officemate na indian!! India, Japan and Thailand are my guesses. All of those countries are enticing but if I pick the top three on your wishlist, it's got to be Nepal, Mongolia and Laos. nepal, mongolia and laos. kasi yun ang pinaka least-popular eh at mahilig ka sa off-the-beaten paths kaya yun ang guess ko. sorry ha pasaway kasi hindi ko talaga alam. BTW I like your site. The photos are all well-taken. turkey, japan and russia sa akin dong! hehehe wala ba kahit back issues? Hmmmm, Thailand, Nepal, Maldives- mahilig ka kasi sa beach at hiking. So hard to say. I love reading the names people suggest. Such poetry. China because they are able to retain culture despite progress. India - This nation is too big and you wanted to know more about their culture and best places. Russia - This is also one of the oldest civilization. There are common in the 3 right. Old and populated. hello dong, sana tama sagot ko. hula-hula lang, ah....thailand, india & maldives. good luck dongho. sana mapuntahan mo lahat yang 10. Just saw your message on my blog at marinduquegov.blogspot.com. Pls contact tourism oficer Gerry Jamilla at #09179166635 or coordinator Joven Lilles at #09174636280. Welcome to Moriones Festival 2010! good luck sa lahat ng sumali! Difficult...worse than playing the lotto ! This issue seems full packed. I'm not participating in the contest, but I want to guess. =) Your top 3 would be Maldives, Turkey and Nepal. officially the contest is closed. since nobody got it, ill be using the point system to judge who will win. where i rank the ten from highest to lowest designating the first three with points. winners will be announced soon. 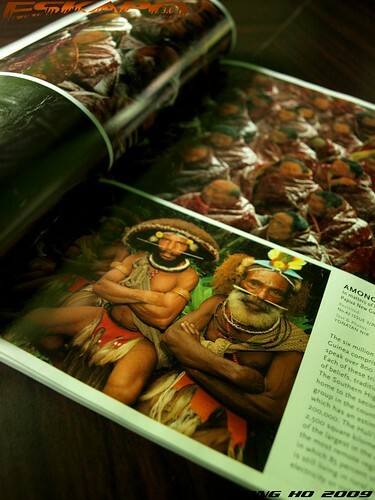 I'd like to read the Asian Geographic Magazine: it must be very well done. I don't think it can be found in the bookstalls here in Italy. Good day! I am Astrid Abesamis, Communication Arts graduating student from the University of Santo Tomas. Our thesis group would like to ask for your help by answering our survey about blogging. Can I ask for your email address so that I can email the survey questionnaire? We hope for your response. Thank you so much! God bless! Interesting mag.but can't get it in our book store here in Kuching. In term of good magazine ,Kuching is still very far behind..one need to order to get one.